Exciting news for LibAnswers subscribers, especially for those of you who are concerned about ensuring patron privacy (so, everyone, right?? 😉 ) – in today’s release, we’re rolling out encryption for key patron identifying information as it’s being stored in the LibAnswers database (aka “at rest”). This is one more step in our continuing efforts to ensure that patron data is safe and secure. Your patrons’ email address and SMS numbers are now encrypted as they’re being stored in the LibAnswers database, as long as they’re in fields that we know to contain email and SMS numbers, ie this does not yet apply to information shared in the text of a patron’s reply. There’s nothing you need to do to opt in to this change – as of this morning, all key patron email addresses and SMS numbers have been encrypted. This also won’t impact your ability to see the “history” of transactions with specific patrons or to run statistics. Reply Editing – Sometimes patron replies that are submitted into the system can either show up as too long (where they include the entire reply thread in a single reply), or too short (where a key piece of information gets cut off). To help with these, we’ve added a new option to edit the patron’s reply, so you can simplify or clarify individual patron replies. To do this, head to any ticket with patron replies, click the cog icon on a particular reply, and select “Edit Reply” – this will bring up the text of the original patron reply alongside a rich text editor, which you can use to edit the reply’s content. Manage Assets: Edit File & Click Filename – We noted a couple of small issues on the Manage Assets screen, where clicking on an asset’s title didn’t do anything (instead of loading a preview of the file as intended), and editing a file lead to some pretty odd errors. We’ve squashed both of these issues – to see the fixes in action, head to Admin > Manage Assets. Chat Widgets Now Load via HTTPS – This has been an optional setting for LibChat, but in this update we’ve streamlined things so that chat widgets now load via HTTPS by default, so patron chats load via SSL right from the get go. Systems Status Management: Image Manager – We realized the image manager icon was missing from the product description field – oops! This is now back – Admins, head to Admin > System Status Management > Edit Product and you’ll see it’s back. There was a minor issue where the search API was not properly returning the total number of results, which we’ve since quashed. There was also an issue where adding an IP restriction for the API wasn’t being applied properly to widget – this is also fixed. We’ve added an aria label to the hamburger menu (visible when viewing a site on a mobile device). For screenreaders, we’ve added aria-hidden=true to the hidden input for the typeahead widget, as it was causing accessibility errors. LibAnswers 2.9 Update Now Live! 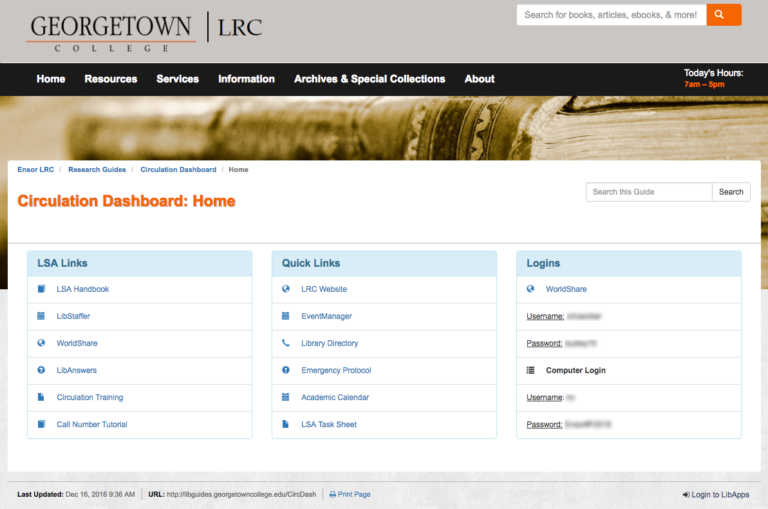 Exciting news, we have a slate of LibAnswers updates to share! This release is all about LibChat – we’ve introduced several “holy cow, that is awesome!” features, including chats that can follow the patron from page to page, searchable transcripts, and accessibility updates. Let’s get to the good stuff! It’s a common frustration – a patron is chatting with you and happens to navigate to another page in your site, causing a sudden disconnect and lost conversation. We have big BIG news – we’ve added follow-me capabilities to all LibChat widgets, so if a patron navigates to a new page, as long as the new page also contains a LibChat widget, your patrons will be able to continue the conversation seamlessly, without starting a brand new chat session. This feature makes it much simpler to assist users as they navigate across pages. Previously the popout widget was the best answer to this conundrum (and it’s still a great resource), and we’re thrilled to be able to extend this functionality to sliding widgets and in-page embedded widgets as well! That’s right – you can search the full text of LibChat transcripts for specific keywords! This is a great way to get a read on the number of questions that are coming in on a particular topic. Plus, not only are transcripts themselves searchable, but we’ve also added a keyword search filter to LibChat statistics and reports. Use this to create a report on the number of times a particular keyword has been mentioned on a daily/hourly basis, or by staff member, etc. We’ve made major strides toward fully accessible LibChat widgets, and we’re thrilled to say that LibChat is accessible right from the get go. From better focus management when the window pane, changes, to ensuring that all images have appropriate alt text links, to rewriting the slideout widget so it’s easier for screenreader software to navigate, we’ve made sure to cover accessibility in chat widgets from top to bottom. 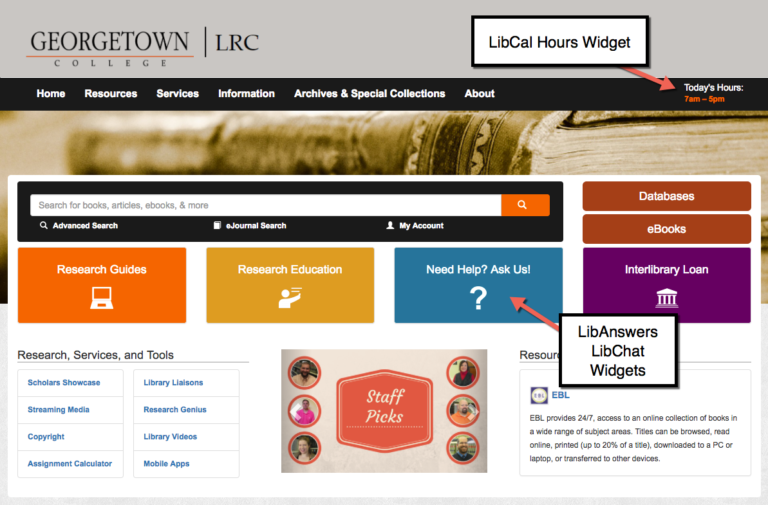 We’ve also made major improvements to the load time efficiency for all LibChat widgets. All of our chat widget scripts are now roughly 1/4 of their former size under the hood, meaning that any webpage that contains a LibChat widget will load that much faster! Please note – it’s a good idea to take a peek at your widget today to make sure everything looks as you remember, especially folks using sliding widgets. One of our accessibility improvements updated the way that sliding widgets display – use the same image in any of the 3 page positions (left, right, or bottom). It’s possible that for folks already using an image in a sliding widget, the widget image may be rotated incorrectly. If this happens to you, head to LibChat > Chat Widgets > Edit Widget and find your widget. In most cases if your image is just text on a colored background, you can remove the image and use the existing text and color settings for the tab (that will be more accessible!). If your image is more than just text, you will need to edit the image itself. Rotate the image so the text reads normally (left to right for most of you). Our widget code will automatically rotate the image as necessary for the difference widget positions. 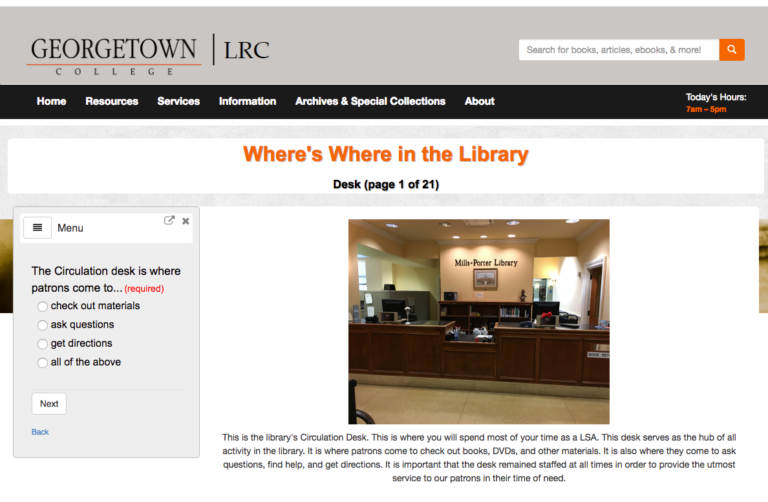 FAQ Search in the LibChat Operator Window – Picture this – you’re in the midst of helping a patron answer a tricky question, and need to search your LibAnswers FAQ for an answer. We’ve got a fun new addition to the Chat Operator Window to help – now, you’ll notice a FAQ search build right in, so no more navigating to other pages to search your FAQs! Improved Resizing for Chat Widgets – When you start a chat with a patron, sometimes it’s helpful to expand the size of the chat window to view more of the conversation. We’ve made improvements to the drag-to-resize functionality with this update, so you’ll find it much easier to drag the window to the size that works best for you! Offline Button Colors – We’ve made it easier to customize the color of button widget when they’re offline, to give your patrons more of a visual cue when your service is online vs offline. Head to LibChat > Chat Widgets and select any button widget to customize the offline button color. Auto-popout Button Widget – Do you love the concierge / “Can we help you” auto-slideout widgets? Us too – they’re a great way to call attention to your live chat service and prompt users to ask for help when they need it! We’ve extended this functionality beyond slide-out widgets – now you can add a concierge message using button widgets too! Just head to the widget builder and select the button widget type, scroll to the Autoload Delay setting and select how many seconds the widget should wait before popping up. Dismiss “Can We Help You?” Popouts – Previously, if you had multiple “Can we help you?” concierge widgets on separate pages in your site, the prompt was displayed every time a patron loaded a new page, making it a bit hard to dismiss. There can be a fine line between offering help and pestering the user, so we’ve updated this behavior – now if a patron dismisses the message, it won’t continue to pop up on subsequent pages. The LibAnswers 2.6.4 update rolled out this morning! 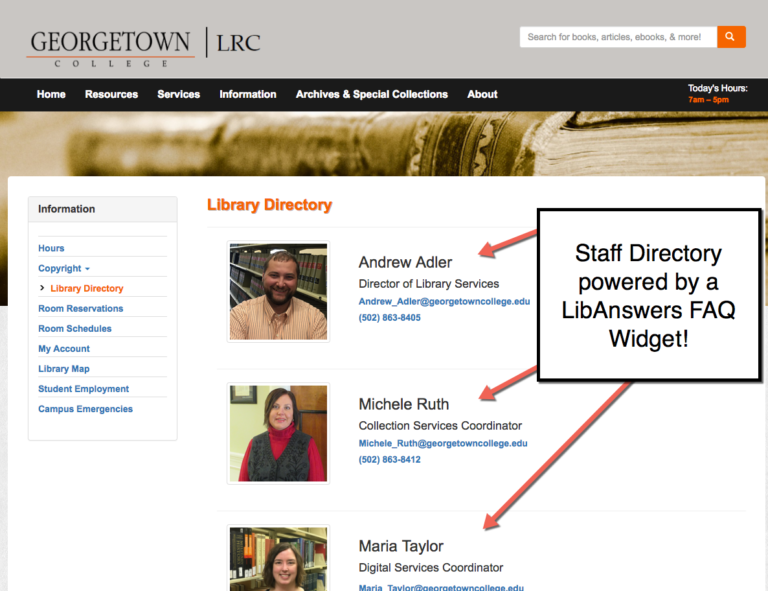 This mini-update includes several awesome LibChat improvements and a new widget option to boot. It also includes a number of back-end server updates, which make LibChat even more stable and more powerful than ever before! 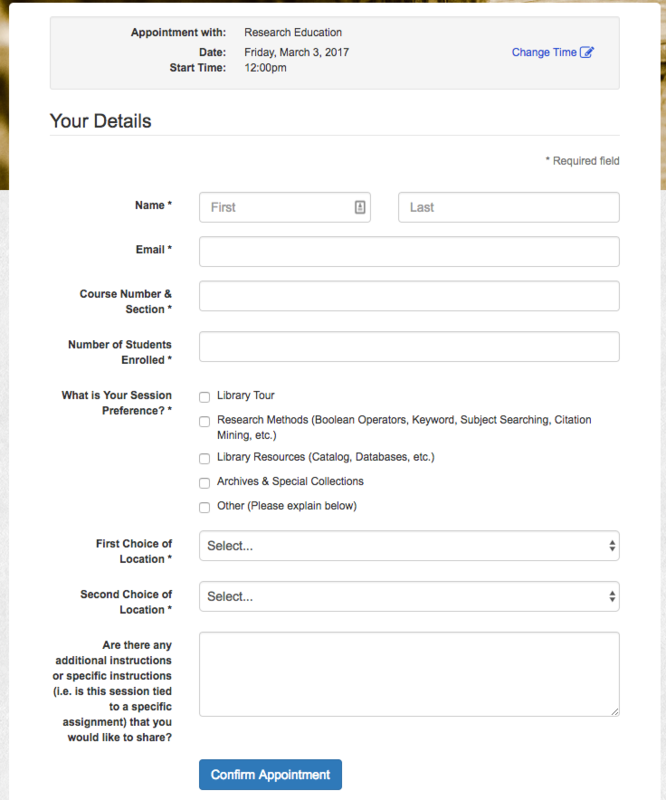 LibChat provides you with tons of options to customize the Chat Entry form, i.e. what question(s) you wish to ask the patron – it could be as simple as asking for just Name, or as complex as asking them additional info (grade, initial question, desired department, etc.) 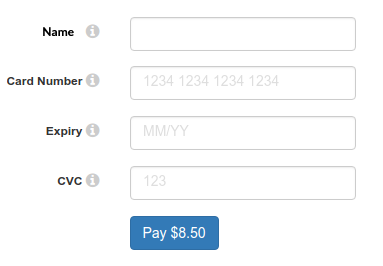 – LibChat makes it possible for you to customize this form fully. But, what if you don’t want to ask any questions and would rather just have the patron start chatting anonymously? Well, now you can 🙂 We’ve added a new option to skip any questions before starting the chat. You’ll find this option in the widget builder options to Skip Entry Screen. This option bypasses the need for patrons to click on a button to “Start Chat” – patrons who see the widget will hop straight into the chat-in-progress view. As always, all elements of this view are customizable right in the widget builder – just click on the widget preview down below to customize the language to say just what you want to say. Good to know: widgets created that skip the login screen can’t include the same pre-chat questions that our other widgets offer (like multiple choice questions and prompting people to enter their name prior to starting the chat), and all users who chat with you will be recorded as anonymous users. One of our very favorite parts of LibChat is the ability to automatically collect quick feedback from end-users when a chat concludes. This feature is built into every chat widget by default – it’s a fantastic way to get a quick read on patron satisfaction with your LibChat service. Up to now, the comments that each user provided were stored inside individual transcripts. We thought we’d make it easier to discover these comments along with their associated ratings, which is why we’ve added the new Chat Ratings report! To find it, head to LibChat > Statistics and select the Chat Ratings tab. 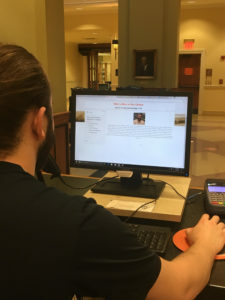 We know how it is – sometimes days have a way of getting hectic, and with the million-and-one things that happen at any library service point, sometimes folks forget to log out of chat at the end of the day. That’s why we’ve added the new scheduled sign-off feature – just enter the time of day when your service should go offline, and a few minutes after the hour all librarians signed in and monitoring LibChat will be disconnected. If librarians are currently engaged in a chat, they won’t be logged off – this will just affect folks who aren’t actively chatting with patrons. Admins – head to Admin > LibChat Set-up > Settings > Sign-off Schedule to set your logoff schedule! We’ve added a new customizable error message for folks who may be having issues connecting to your chat service. This message will display to patrons who, for one reason or another, are having trouble establishing a connection to your LibChat service – it could be they’re using an outdated browser (IE8, we’re lookin’ at you), or it could be that they’re suffering from spotty wifi or an unreliable internet connection. When issues like this arise, LibChat will display a special error message which alerts folks to the situation and displays a link to Submit Your Question. Clicking on this link will pop open the LibAnswers question form in a new window, and any information the patron previously entered will be populated into the form. You can now customize this message – just head to the Widget Builder & edit any widget, then click the “Error Message” link. We’ve added a new statistic – you’ll now be able to see how long each chat patron waited before a librarian chat operator claimed and replied. This gives a bit more contextual information on your chat service, & can be helpful for monitoring staffing levels. It also provides a bit more context for missed chats – did the patron wait a long time before giving up, or did they immediately navigate away (because ooo look a butterfly!). You can view this new metric listed in each chat transcript – it’s included for both successful chats as well as in the missed chats report.